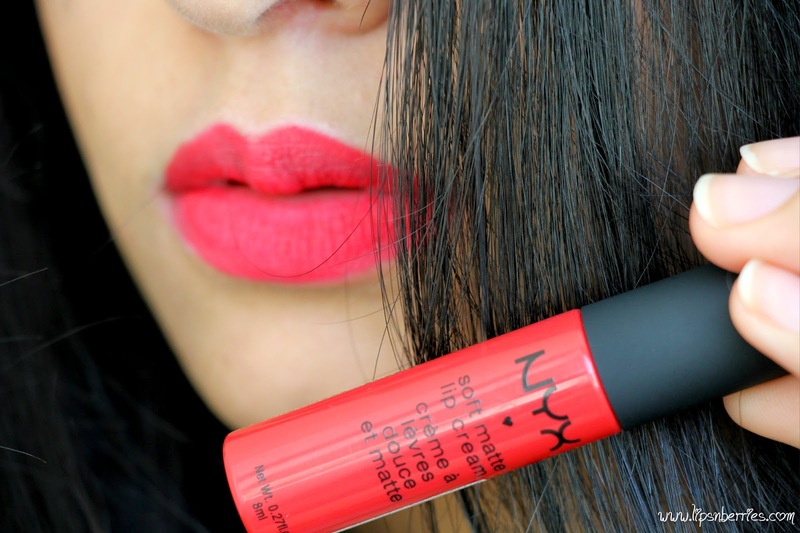 NYX Soft Matte Lip Cream in 'Amsterdam' Review + Swatches + FOTD ♥ | LIPS n BERRIES! 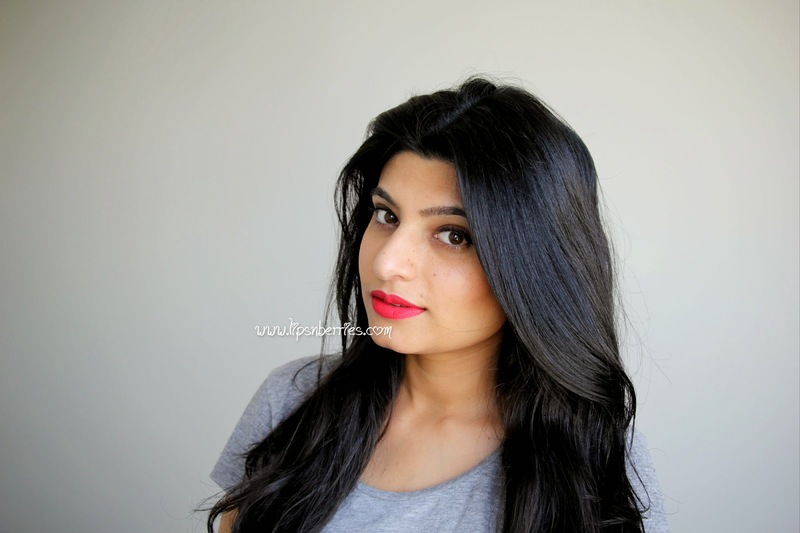 If you've read any lipstick post on this blog... You know I love mattes & reds are made for me. 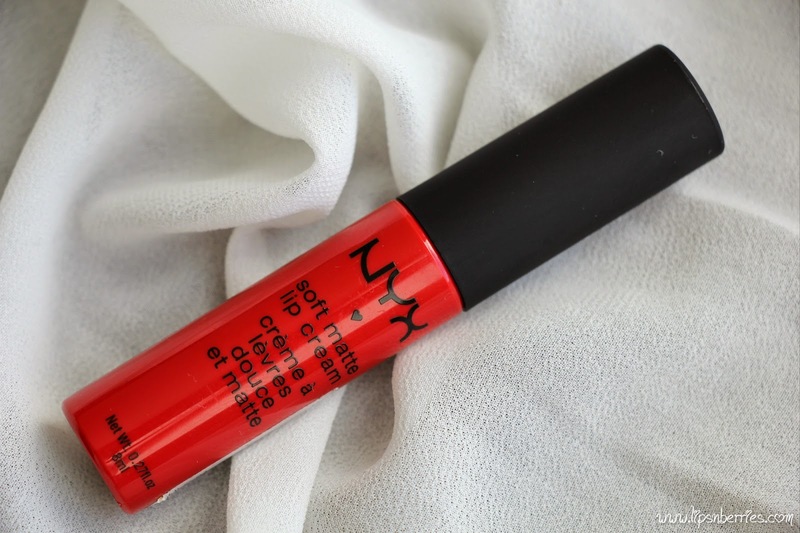 NYX's Amsterdam is both & so I adore it. But please take that awful smell away, will you NYX?? 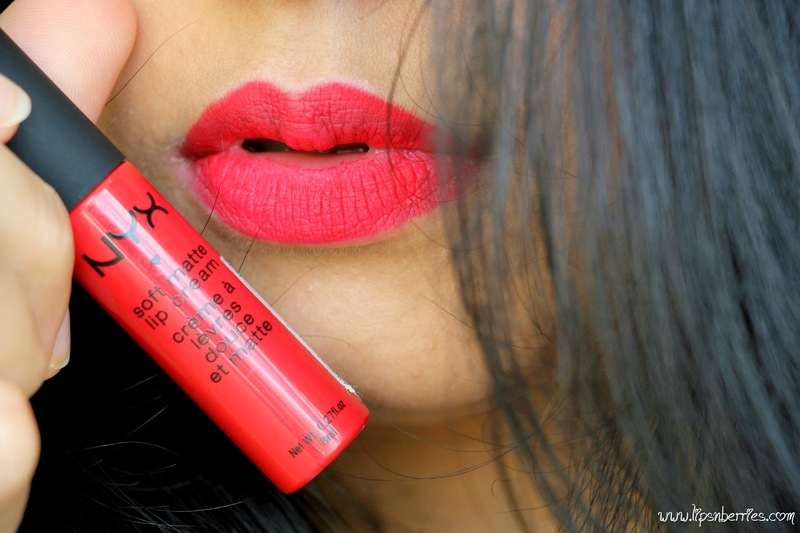 These soft matte lip creams have a cult following. Antwerp is my absolute favorite peachy pink ( I recently ordered 3 pieces of it off Cherryculture.com (Haul post here). Need I say more? They have recently released more shades & I've been digging the dark vampy burgundy that's out (Copenhagen?). 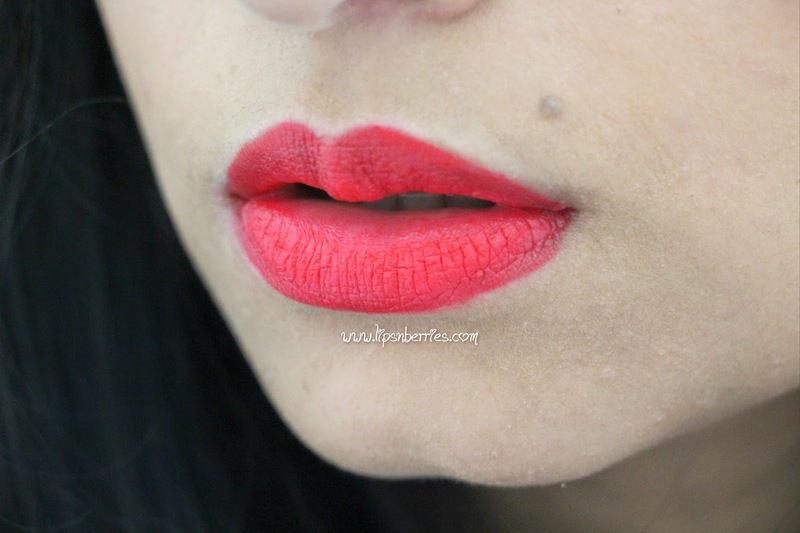 - A blue based red that looks good on all skin tones. A universal shade! - Texture ~Matte. A comfortable matte actually. Dries from glossy to matte in about a minute. 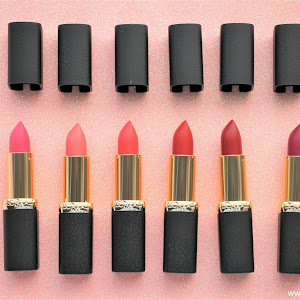 Soft matte lip creams are liquid lipsticks. - Longevity ~ Stays-put for about 5 hours, doesn't bleed. - Leaves heavy stain behind. 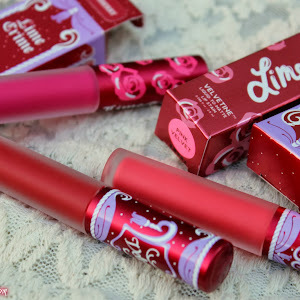 - Feels light on the lips. - Can be layered for a soft or a dramatic look. - Can be dabbed on with fingers for a everyday stain or in full force using the doe-foot applicator. 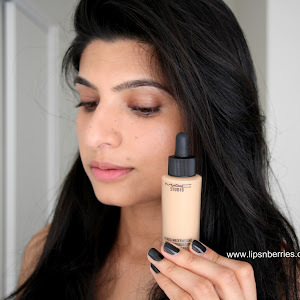 - Matte texture can be unforgiving on dry/chapped/wrinkled lips. Try out my version of a 2-ingredient easy lip scrub recipe and my matte lipstick application routine as well. All in this post here. - Maybe it's just me but I can't stand its smell. Its plain awful- very plastic-y. Thank the heavens the smell doesn't stay for long. - Comes off from the part if eating oily food (expected!). It can be layered though. Verdict: For the price, buy all the colors you can. 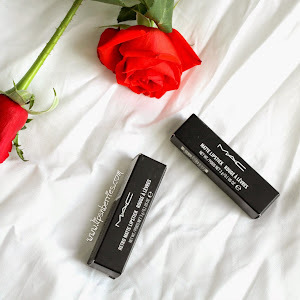 These are cheap, long wearing, matte, comfortable and opaque. My only gripe is the smell that I can't seem to not notice. It does seem to vanish after few minutes though. Amsterdam is a cool red, the kind that makes your teeth look whiter. 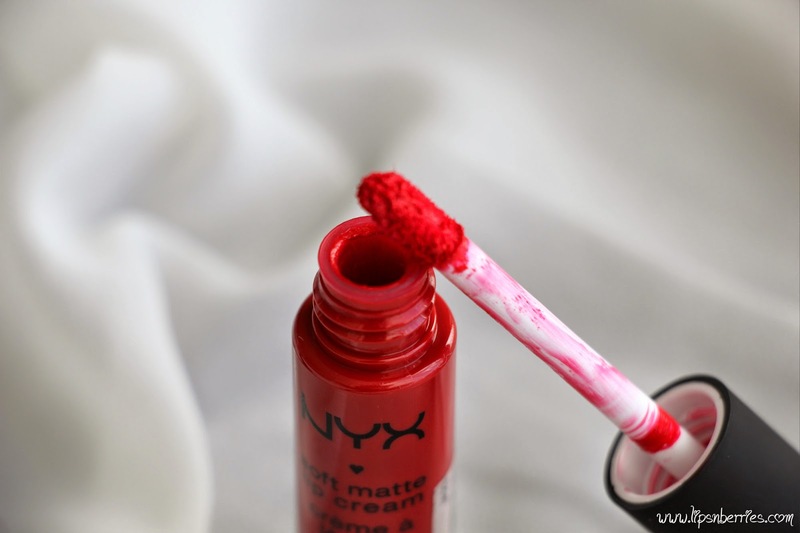 It's a true red that can be worn as a lip stain if dabbed with fingers or in full force with the doe foot application. Is this your kinda red? Lemme know in the comments below! P.S. I have no idea what's up with this lip color. It seriously looks more coral in daylight but actually has hints of pink in it. Wonder why?